The first Japanese-assembled F-35A was unveiled at the Mitsubishi Heavy Industries (MHI) Komaki South F-35 Final Assembly and Check Out (FACO) facility here today. The Japan F-35 FACO is operated by MHI with technical assistance from Lockheed Martin and oversight from the U.S. Government. Approximately 200 people attended the ceremony including Japanese and United States government and defense industry leaders. The ceremony highlighted the strong partnership between the Japanese Ministry of Defense, U.S. Department of Defense, MHI and Lockheed Martin. Kenji Wakamiya, senior vice minister of defense; Gen. Yoshiyuki Sugiyama, Japan Air Self Defense Force (JASDF) chief of staff; Lt. Gen. Jerry Martinez, commander, U.S. Forces Japan and 5th Air Force; Vice Adm. Mat Winter, F-35 Program Executive Officer; Vice Adm. Dave Lewis, Defense Contract Management Agency Director; Naohiko Abe, MHI’s senior vice president and Integrated Defense & Space Systems president, and Orlando Carvalho, executive vice president of Lockheed Martin Aeronautics, attended the milestone event. The Japanese Ministry of Defense competitively selected the F-35A as the JASDF’s next-generation air defense fighter in December 2011, with a Foreign Military Sales program of record of 42 F-35As. The first four JASDF F-35As were previously delivered from the Fort Worth, Texas, production facility. Subsequent deliveries of 38 F-35A aircraft will come from the FACO here in Japan. Additionally, the U.S. Department of Defense selected the Nagoya FACO in 2014 for the North Asia-Pacific regional heavy airframe Maintenance Repair Overhaul & Upgrade (MROU) facility. The death spiral is ubstoppable. Rip LM company; you will ne missed. TOKYO -- Japan's first F-35 stealth fighter jet, which underwent final assembly in the country, was unveiled at Mitsubishi Heavy Industries' Minami Komaki Plant in Aichi Prefecture on June 5. But Japan's expectations for a larger role in the aircraft's production remain unfulfilled. The F-35 is the Air Self-Defense Force's next-generation, mainstay fighter plane. The Defense Ministry plans to import four assembled F-35s, but this time components manufactured abroad were imported and assembled here. During the ministry's selection process for the next mainstay fighter, the Japanese defense industry requested a role producing some parts. But things are not going as planned. Lockheed Martin developed the F-35 jointly with partners from eight other countries. Japan was not involved. The aircraft has high stealth capability that makes it difficult for radar to detect. The ASDF will deploy them to deal with North Korean provocations and foreign aircraft violating Japan's airspace. Since the U.S. is already operating F-35s, joint operations will be easier. Expectations for the new model are high because Japan's fighter jets, including the F-2 jointly developed with the U.S., are aging. It remains uncertain, however, whether the F-35 will give Japan's defense industry a boost since it may be involved only in final assembly. Japanese companies have benefited as parts suppliers for the F-2. These parts need to be replaced periodically, keeping the industry busy. And being involved in fighter jet production enables the industry to transfer acquired technologies to the civilian aircraft field. One such example is carbon fiber composite materials, the manufacturing technologies of which came from the F-2 and were subsequently used in the Boeing 787. But delivery of new F-2s ended in 2011. Parts makers that lost contracts because of this dropped out of the industry. Selection of the next mainstay fighter jet ended in 2011 after fierce competition between three Western rivals. In addition to performance and price, the Defense Ministry took into account whether the manufacturer would allow Japanese makers to join the production process, a concern intended to help prevent the domestic defense industry from losing competitiveness. Despite high expectations, the only role Japan is presently slated to play for the F-35 is in assembly. There was a plan to produce part of the fuselage in the country when the F-35 was chosen, but it has virtually been abandoned, according to a defense industry source. In short, selecting the F-35 hardly benefits parts makers and reduces their role in the aircraft industry. If Japanese want to get workshare, they have to do so at a price competitive with other F-35 accredited suppliers. They are dependent on the Japanese Government for subsidies. It doesn't seem to be happening for them. Well, its not the end of the line for them if they're still going forward with ATD-X. 12:40, emergency landed, at Prefectural Nagoya AP, Aichi Prefecture. 30 minutes after it took off, for second test flight. During flight, warning device activated. I guess the ability to turn an F-35A into an F-35B is a highly prized trait of Japanese F-35s - don't leave home without 'em. ...Although the aircraft is a Japanese Air Self-Dense Force-owned jet, it is required to go through final function tests in the United States to ensure all future F-35B’s produced in Japan are up to standard. To ensure the jet arrives securely in the United States, Supper stopped at here to undergo safety checks on the F-35B before flying across the ocean...."
Last edited by spazsinbad on 20 Nov 2017, 14:15, edited 1 time in total. ....hotdxxn! he is flying both an A and a B on the same flight! ; I'll buy that man a beer! Wouldn't that be a F-35BJ? Am I the only one who noticed that the F-35 program began in the Clinton presidency? SpudmanWP wrote: Am I the only one who noticed that the F-35 program began in the Clinton presidency? 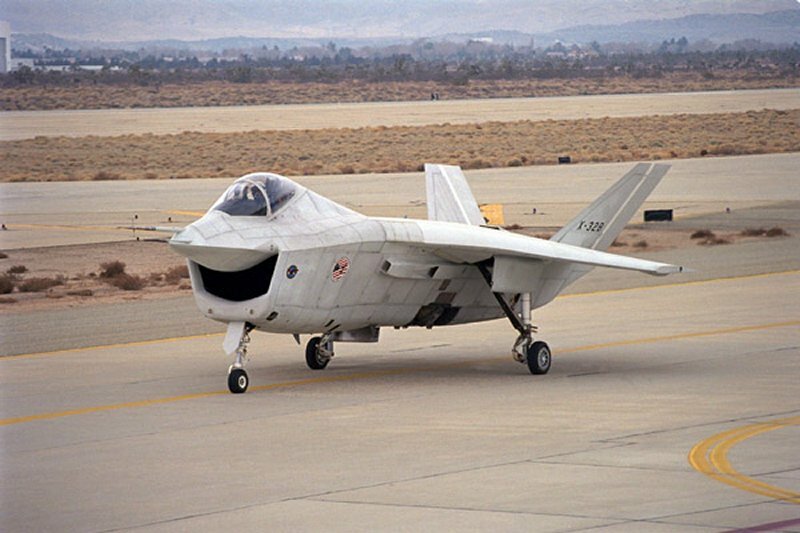 Uhh... the genesis of the X-35 / F-35 began in 1988 (either end of Reagan, or Bush the older) with the conception of the dual-cycle lift-fan propulsion concept. Those intitial LM studies for NASA / USMC led to CALF, then JAST, (probably missed a program or two), and then JSF. So one could argue the F-35 began much earlier than Klinton. I will say that Klinton did give us the Monica (X-32). No, I got your point, I just disagreed. Last edited by steve2267 on 21 Nov 2017, 01:32, edited 1 time in total.